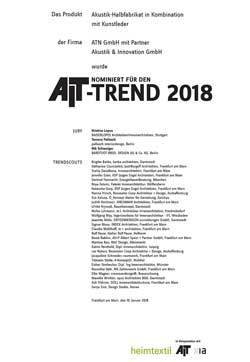 ATN and partner Akustik + Innovation have been nominated for the AIT-Trend 2018. 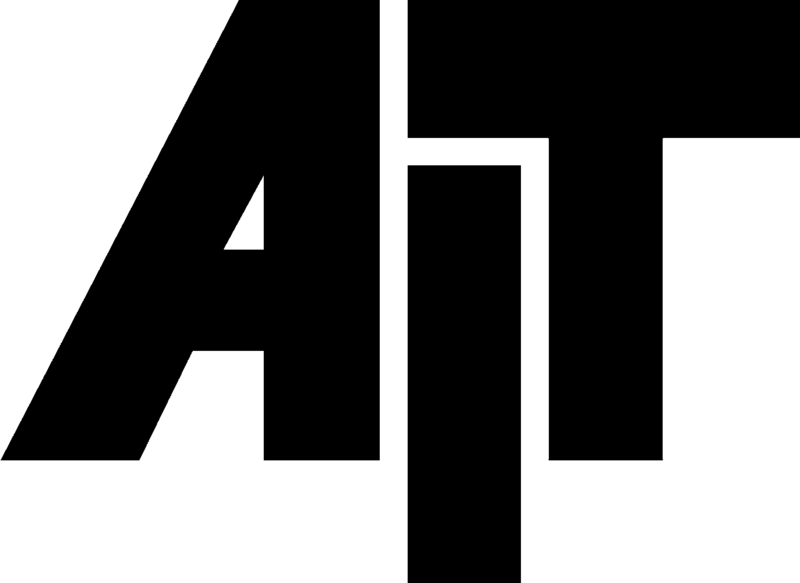 The AIT-Award is divided into 12 different categories: All realised architecture projetcs and interiors of the last two years could be submitted. 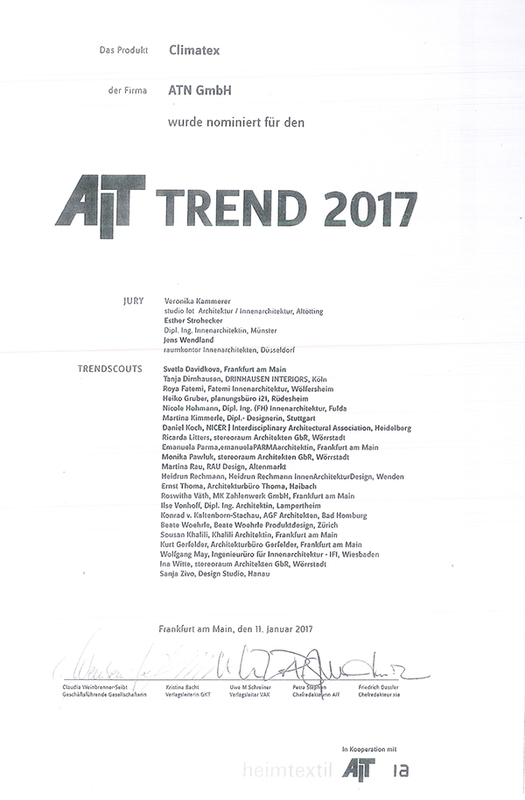 ATN has been nominated for the AIT-Trend 2017. 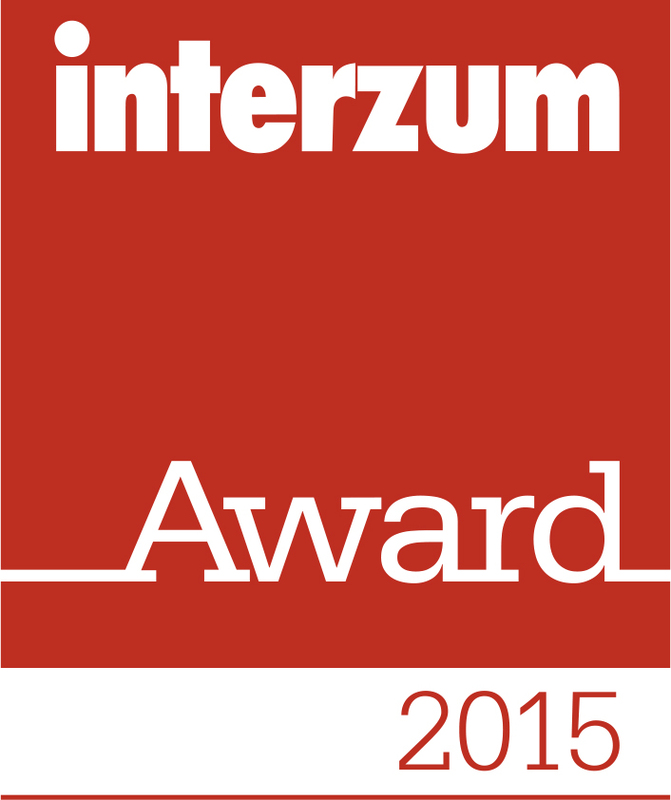 The materialPREIS is lent in the annual change for manufacturers and users. 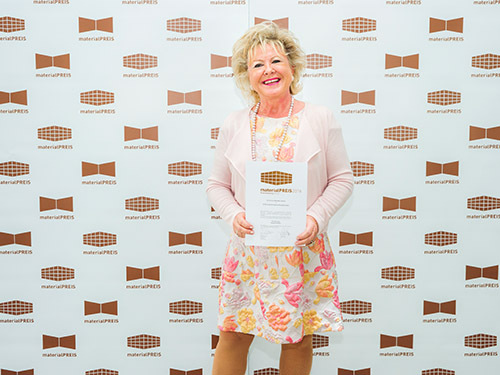 During straight years the honouring will award for special materials to material manufacturer and material developer, during odd years the materialPREIS is directed as an honouring for material in use at planner and creative with realised projects. The quality of products defines itself in the everyday use: innovative creation and intelligent details stamp her aesthetics just as her functionality. 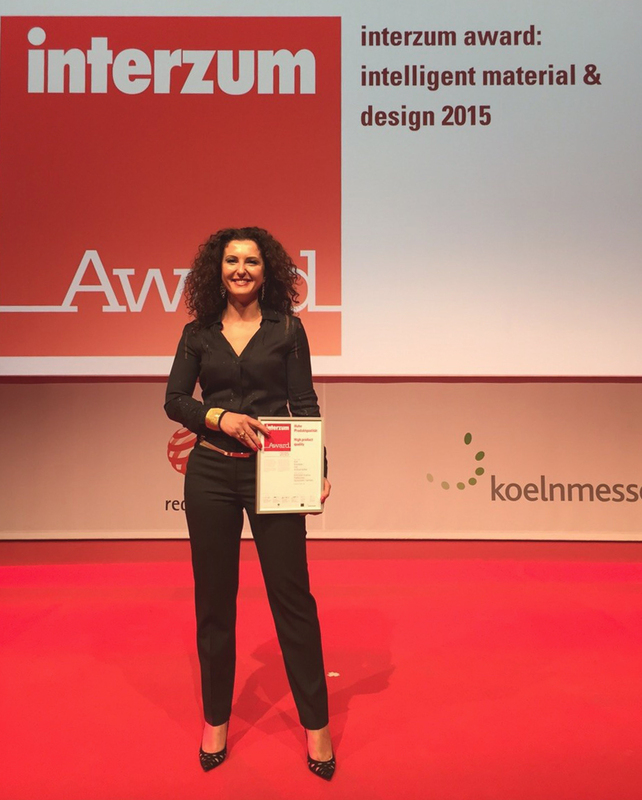 Explained aim oft he interzum award: intelligent material & design, is to put these qualities in the centre.